Novel techniques for cost reduction and performance benefits have emerged from many research centres, including the EPSRC funded IMRCs. To date there have been no publically available studies or models of manufacturing cost to allow the useful comparison of both established and emerging materials and manufacturing technologies. This work will draw together previous work at Cranfield and other University partners, and will incorporate studies of industrial partners’ successful composite applications and other international research. The findings will be compiled into a database linked to state-of-the-art cost modelling tools. Resulting software developed during this project, utilising the constructed database and cost modelling, will provide ‘decision support’ for manufacturing routes based on cost, material property requirements and appropriate processing routes. Such tools will allow novel technologies developed by the Centre to be benchmarked against established manufacturing technologies. Previous works associated with composites manufacturing and cost modelling have been established and new/current activities continue to be identified. A materials and process taxonomy has been produced and continues to be refined and developed as new materials and manufacturing processes are introduced. Four case studies for ‘composite cost modelling’ have been identified – two industry based, two University research based. An initial internal study has been completed (teaching and learning exercise, MSc). 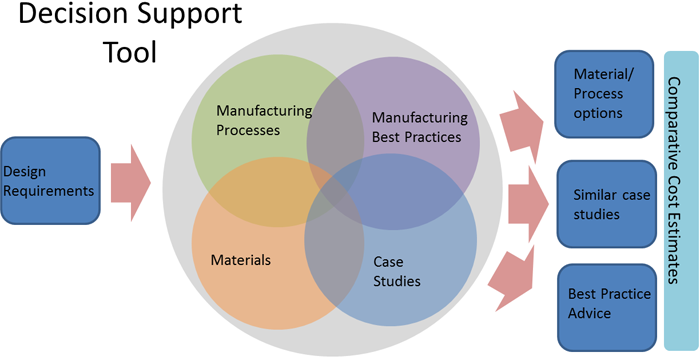 Composites materials supply and manufacturing companies have been identified and key areas and information centred on manufacturing costs continue to be discussed. The JEC composites Show, Paris, March 2014 provided an opportunity to identify new materials and processes and the cost challenges to industry. Some preliminary discussions with international cost engineering companies have been held – providing a commercial view of cost engineering and demonstrating the importance to industry and growth of the composite manufacturing sector. 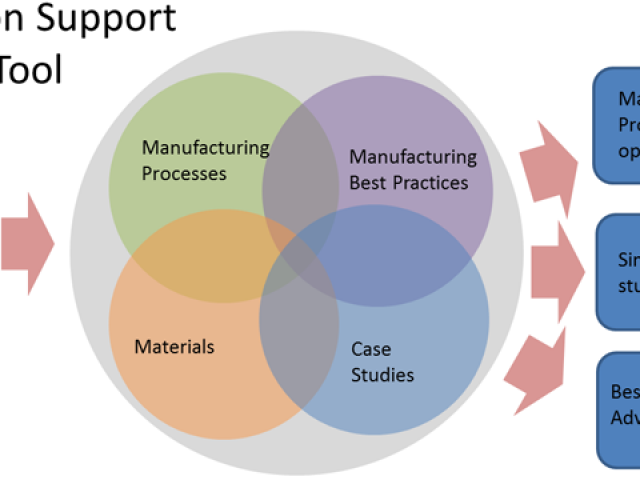 Engagement with Local Enterprise Partnerships to enable ‘access’ to local composite manufacturing companies – providing opportunities to collect and understand the manufacturing costs of SMEs.